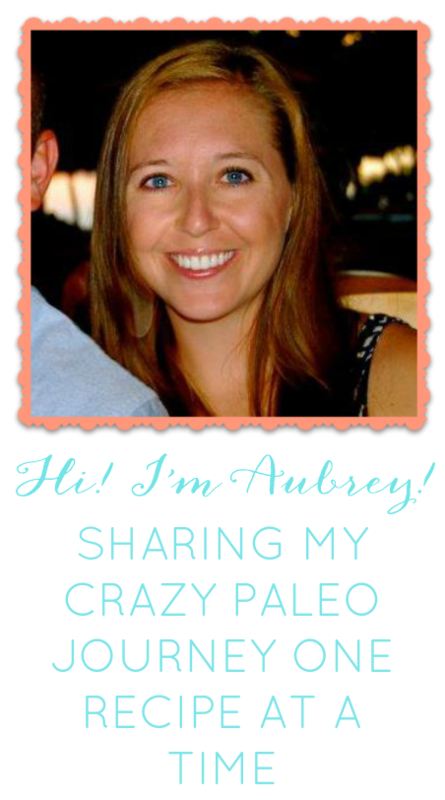 Paleo made Painless: Coming Clean! Well hello blog world! It feels like it has been forever- because it has been a really long time since I have posted!! I was just reading the last post I made about life outta control- the rice krispies, the pizza.. and yes these food choices were due to my own failure to plan. They were also due to the fact that I am preggers! Yup. There is a little one on the way and that is why I have been neglecting this blog so very much. Being pregnant has made me so unbelievably exhausted. On top of that the thought of meat- or touching raw food nauseated me and sent me to the bathroom. My first trimester was challenging. As I look back and think about my preconceived notions of what my pregnancy would be like I have to laugh because life has taught me another lesson- what you imagine and reality are two very different things. This is what I imagined for my first pregnancy: I wake up early in the morning and have a protein shake on the way to my new CrossFit gym. I get a tough WOD in and feel strong being able to work out with my body going through so many changes. I get home- scramble some eggs with a chicken sausage and prepare my lunch. I head to work- snack on almonds during the day and the occasional dark chocolate (I am pregnant) then I eat a vitamin dense lunch made in mind of the nutrients my baby needs for that week. I head home and go on a quick jog and make an awesome Paleo dinner for the husband and I while we laugh and sip on coconut water. I blog about all the wonders of being pregnant and the importance of proper nutrition for a developing baby. No joke- I seriously was convinced this was how it would be. I was so excited and could not wait. Well about 6 weeks in reality decided to take the reins and this is what my days were really like. I wake up running late. Too exhausted to brush my hair so another low pony tail it is. I stuff down a bagel because the thought of eggs makes me want to puke. I head to CrossFit and after the workout my morning sickness really kicks in- I am dizzy. I want to pass out. I am so tired. After a week of this I finally decide it is time to put my membership on hold. For lunch I drive through in-n-out because all my body is screaming for is CARBS. The thought of a meat patty makes me want to die- so I get the burger without the meat. Just cheese, bread and fries. What about work? You may ask. Oh my company got into legal trouble and I have been so sick I had to quit. So after I come home I am so nauseous it is back to my familiar spot on the bathroom floor where lunch makes an early exit. Then it is time for a lifetime movie with a massive headache until I fall asleep on the couch. The house is bare of any food that is natural. My cupboards are filled with saltines and the fridge is stocked with ginger ale. So the husband has to pick something up for dinner- and the only thing I think I can stomach is a tropical smoothies with a side of salt and vinegar chips. This is actually a good day for me because I made it OUTSIDE of the house. Thanks reality. I am now in my second trimester and the nausea is almost gone. I have felt great the past few weeks but after cooking a Paleo dinner for the hubby last night the nausea came back full swing and I had to force down the only thing that sounded edible before bed: a grilled cheese sandwich with some chips. The good news: I am doing a lot better and most of the food in my house is Paleo. Right now I am sipping on a spinach, banana and strawberry juice. I have been able to eat meat again and I am slowly getting ready to begin a daily workout because I think I won't feel nauseous after. I know now how far fetched my imaginary pregnancy was but I had so many friends who were able to work out every day, had no symptoms and ate healthy. You would think after years of learning not to compare yourself to others that lesson would actually sink in at one point in your life. I was really down and even a little depressed when I was sitting on the bathroom floor those few weeks- feeling like a bad mom for not feeding my baby the things it needs- not even able to keep down a prenatal vitamin. Feeling weak for not crossfitting, feeling out of place eating all the things I know are bad...but finally I just stopped. I stopped being so hard on myself. I began to truly think about what is going on in my body. There is a human. A human in my stomach area growing. The reality of that finally hit me and made me feel blessed and amazed rather than sad and critical of myself. In the grand scheme of things not eating Paleo for the first trimester will not hurt my baby. Paleo wasn't around when my mom was pregnant with me and I feel like I turned out just fine. My little sister is practically a genius she is so smart and my mom ate taco bell almost every day when she was pregnant with her because that's what she craved. Parenthood will not be enjoyable for me if I don't get over this critical type of thinking now- I am not perfect. My kids will not be perfect. I will probably not have home cooked balanced meals every night for them. They will be allowed to be messy and have fun. I guess the beginning of this pregnancy was God's way of teaching me that no matter how badly you want something or how many times you imagined it going your way- life may have different plans and the easier you adapt the better. Now that I have stopped being hard on myself and stopped caring about every bite I put into my mouth I have had the chance to truly enjoy the miracle that is happening. Yes- I will try to drink these spinach smoothies every day and eat healthy but I will NOT be hard on myself if I have bad day. Or a bad week! If I am too tired to cook then take out it is because in my opinion the stress I was putting on myself was much worse for my baby then the salt and vinegar chips. If you would like to continue in this journey with me then please do! Just know this blog might not be the place where you find a new recipe everyday because I might be too tired to cook. And if I bake a cake because I am craving one I might put that on here too (Gasp- not gluten!). Overall whole foods, the Paleo lifestyle, I know in the long run this way of eating is for me and for my family. I have done the challenge- I have seen the results and they are so amazing you can never go back after knowing how you can feel everyday. But for now- I am happy with doing my best and not stressing over the days where all I can eat is french fries.